Moscow, April 3, 2018. – On March 27, 2018, the Centre for Digital Transformation of the SKOLKOVO Business School held a workshop on digital transformation of the mining industry. The Centre for Digital Transformation was established in 2017 in partnership with Atomstroyexport and the North-West Centre for Strategic Research. It is headed by Director Nikolay Verkhovsky, who was previously Head of Project Work for Corporate Programmes. The workshop was attended by over 50 representatives of 18 Russian mining companies. 20 projects and business cases with solutions were presented. The main topics discussed at the workshop were effectiveness and strategies of using corporate digital transformation technologies. 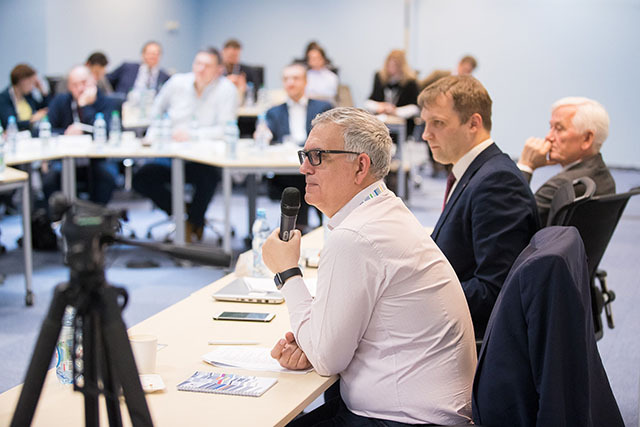 The Centre for Digital Transformation of the SKOLKOVO Business School invites companies from the agriculture, energy, urban environment, engineering, and other industries to take part in subsequent workshops devoted to the digital transformation of industries. For more information, please contact Julia Konovalova at Julia_Konovalova@skolkovo.ru.